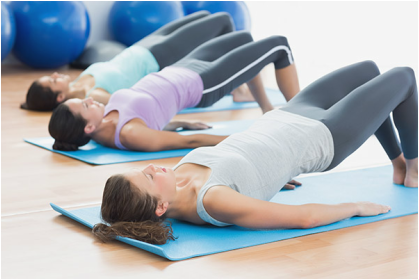 We run pilates courses over a period of 6/7 weeks. Term times depending. Our classes have a maximum of 10 people to enable us to be hands on and ensure you get the most from the classes. The classes are prebooked. UNFORTUNATELY ALL OUR PILATES CLASSES ARE FULL, PLEASE CONTACT THE RELEVANT INSTRUCTOR BELOW TO ADD YOUR NAME TO A WAITING LIST. There are daytime and evening classes available but there is a limited number of spaces on each course. Duration of class is 1 hour. For you to get the most out of our classes, we now require you to have a 30/45mins 1-2-1 consultation for us to take medical history and run through the basics of breathing and core activation. The cost is £16. Courses are over 6 or 7 week terms and cost £48 for the 6 sessions or £56 for 7. Or please contact us for further information. Can I book a one to one session? One to One Sessions are available on request. Please visit our one to one sessions page for more information.